Celebrate a modern-day classic with this DELUXE EDITION, which includes an introduction by Jeanne DuPrau and a brand-new story! This highly acclaimed adventure series about two friends desperate to save their doomed city has captivated kids and teachers alike for almost fifteen years and has sold over 3.5 MILLION copies! Nominated to 28 State Award Lists! 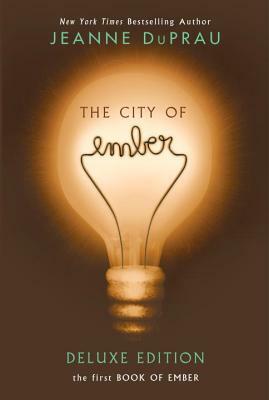 JEANNE DuPRAU is the New York Times bestselling author of the City of Ember books, which have been translated into multiple languages and are an award-winning staple in elementary school classrooms. She's also the author of Escape the Vortex, a title in the multiplatform sci-fi adventure series Voyagers. Jeanne lives in Menlo Park, California. Visit her website at jeanneduprau.com.